The sea of hops you see in your dreams. Craft beer has challenged hop growers. New varieties. Enormous demand. Huge acreage. Varied products: whole cone, pellets, CO2 extract, hop hash and beyond. The indie beer industry has forced the hop industry to quickly and dramatically evolve over the last decade, and there have been challenges, failures and successes. In the spirit of the latter, brewing brands like Schlafly are creating innovative ways to make those evolutions easier, planning for the hops of tomorrow, today. In July, the Schlafly brand and its Saint Louis Brewery umbrella company are launching a cool Hop Trial SMaSH Pack, an experimental new V-pack that features four different experimental hop varieties (three bottles of each in the pack): Hallertau Blanc (floral), Bramling Cross (spicy), Enigma (fruity) and Eureka! (piney). We thought (hey) that’s a pretty cool idea, but it gets even cooler. The pack stems from the awesome Hop Trial program, something Schlafly created to test out hops that are looking to be introduced into the market, while offering feedback to the hop farmers. Schlafly begins the process by combining a base malt and single hop to create a simple SMaSH (single malt and single hop) beer, which brings out the individual qualities of each ingredient, making the profile of the featured hop variety the true focus. Schlafly’s Quality Assurance team then tests the beer before it’s released at the brewpubs to consumers, whose feedback is crucial in order to determine the future potential of pursuing a particular hop to use in the brewery’s beers that educate. 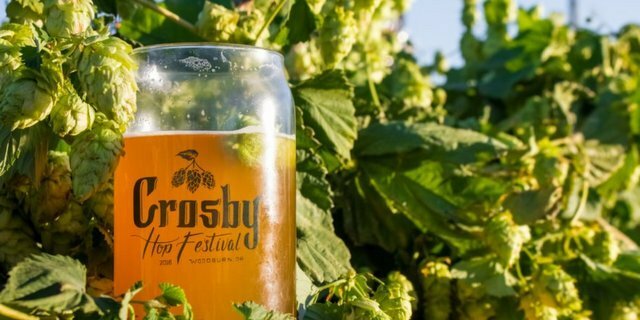 Basically, Schlafly can help hop growers decide if their new styles of hops are market worthy, Shlafly gets a unique opportunity to test-market unique, brand-defining hop strains and serious beer drinkers get to learn about the flavor profiles of various hops in beer; the labels come with cool brewer’s notes. The combination is one of the best concept/tasting variety packs we’ve ever seen. These four beauts are the result, but what makes this quartet so interesting? We asked Schlafly’s ambassador brewer, Stephen Hale, to provide his thoughts on the four experimental SMaSH Pack hops, which we present below. We dig the experimental look of these labels (especially the brewer’s notes) . Enigma, so long, so beatiful. “Bramling Cross is not a new hop, but one of my favorite English varieties,” explained Hale. “It was first released in 1951 by Wye College in the U.K. from a cross made in 1927 between Bramling — a traditional English Golding variety — and a male seedling of the Manitoban [Canadian] wild hop. It has a distinctive aroma with flavor notes that are spicy, orange peel, blackcurrant, loganberry and lemony citrus. I describe it as orange marmalade on toast. It is now part of our blend of English hops in Schlafly Pale Ale.